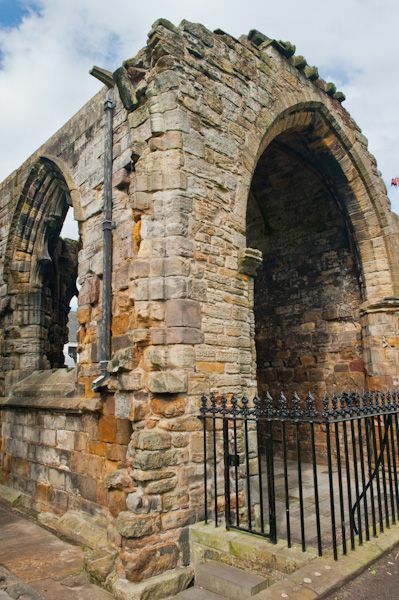 Only a side apse survives of a Dominican friary church, built in the early 16th century. Blackfriars (so named for the black habits worn by the Dominican order) was a large monastery established by Bishop William Wishart (1272-1279). Blackfriars was established around 1464. It was a very small foundation, supporting only two friars at first. 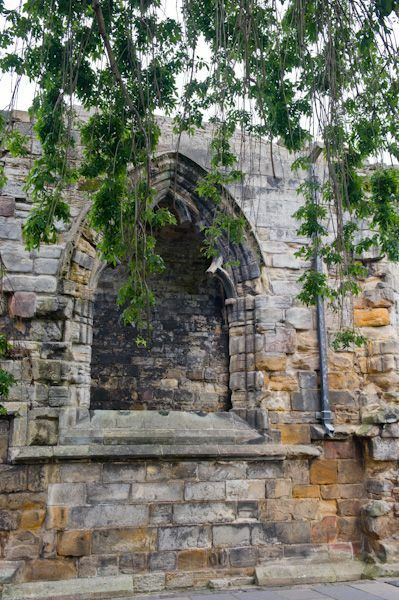 Then in 1514 William Elphinstone, Bishop of Aberdeen, left money to the Dominican order to build a friary and have the friars say regular prayers for his soul. Construction began two years later in 1516. Not only did Elphinstone's money allow for a new friary it also provided enough to support five friars. The Chapel was begun in 1525 after the friary church was completed. 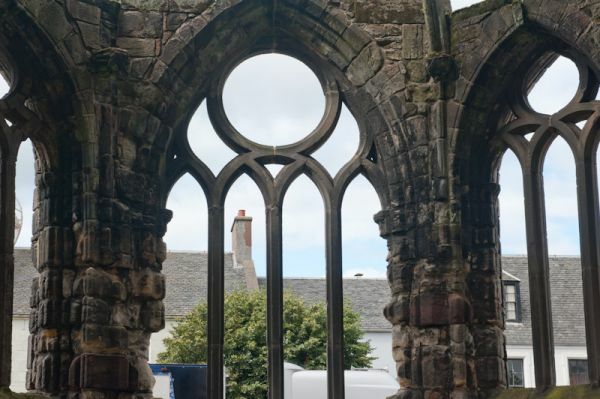 The friars had to apply for permission from Archbishop Hepburn so that the chapel could extend into the street as the space within the friary grounds was too small. 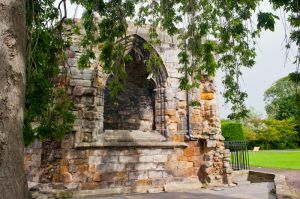 The chapel was founded between 1516 and 1525 on the order of Archbishop Beaton, but its life was short, as it was destroyed in June of 1559 when Protestant religious reformers forcibly evicted the friars. The chapel remains are within the grounds of Madras College, and only the exterior can be viewed. Blackfriars is a rectangle building measuring 26 feet x 21 feet and extends on a roughly north/south axis. Unusually for Britain, it terminates in an apsidal shaped east end. The most striking feature of the chapel are the large windows, carved with intricate tracery. The vaulted ceiling is punctuated with carved bosses depicting the symbols of the Passion and the coat of arms of the Hepburn family, a reference to George Hepburn of Dunkeld, who was in charge of the construction. Location: In South Street opposite the junction of Bell Street. Not signposted. This mid-terrace cottage sits in the Scottish town of St Andrews and can sleep six people in three bedrooms. 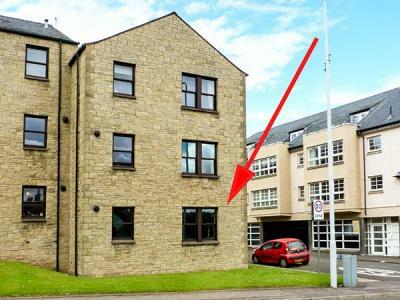 A delightful ground floor apartment near the centre of the historic town of St Andrews, sleeping five people in two bedrooms.